Your choice of Silver or Gold for same price. Order directly online! No Minimum! Badgesource.com is proud to offer the full line of Perfect Fit Leather accessories! 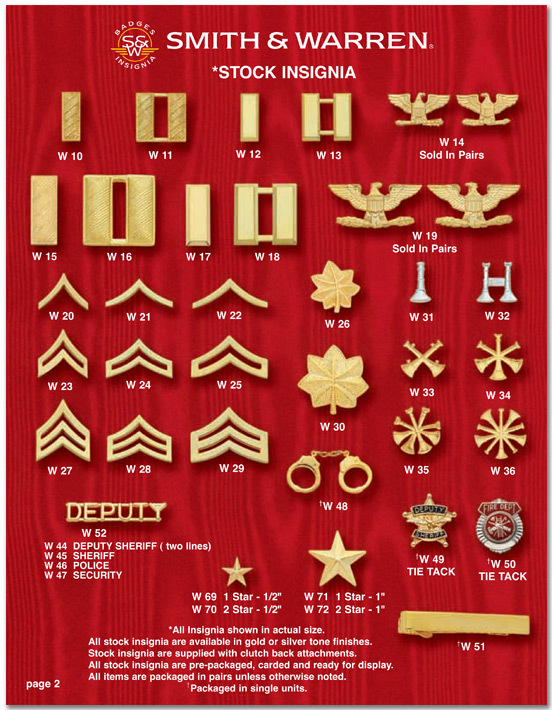 Stock insignia and badges ship within 24-48 hours!! Or design your own custom badge.